As you may have guessed already, this recipe is a raw, vegan spin on bacon-wrapped, stuffed dates, a popular appetizer/hors d’oeuvre on tapas menus.. We might also call it a creative interpretation of devils on horseback, which is an English pub snack consisting of dates that have been stuffed with chutney or cheese, wrapped in bacon, baked, and sometimes served on toast. 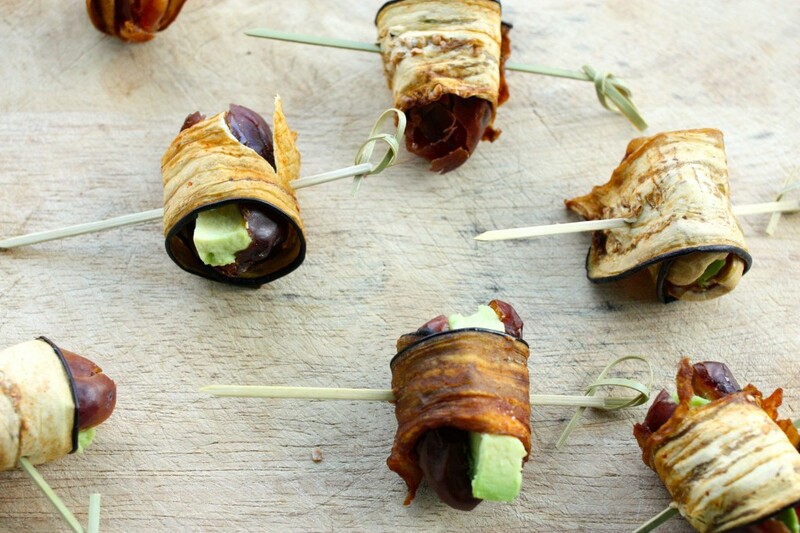 Either way, you get the idea here: eggplant bacon is standing in for the real deal, while creamy avocado takes the place of cheese. Dates are of course the centerpiece of both recipes–the original and this reinvented one–and in both cases, they are predictably divine. Before I get to the recipe itself, a few short words on how to prepare the dates. First, I recommend using pitted medjool dates; the smaller neglet dates just aren’t the same. Second, to get started, take a small piece of avocado (maybe an inch long and thin), and stuff it into the center of each pitted date. So easy. 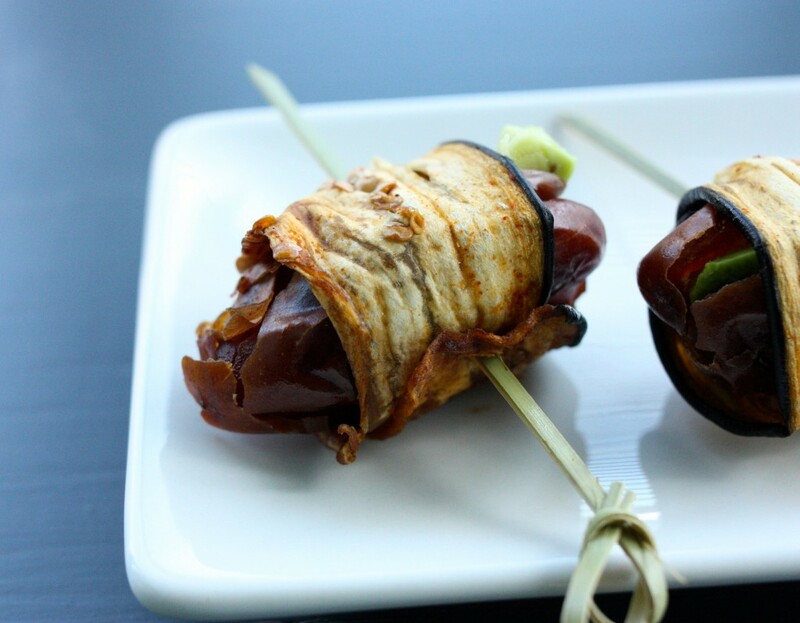 Once you have the eggplant bacon prepared, everything else is just assembly. Here’s the complete recipe. 1. Prepare the eggplant bacon according to original instructions (here). 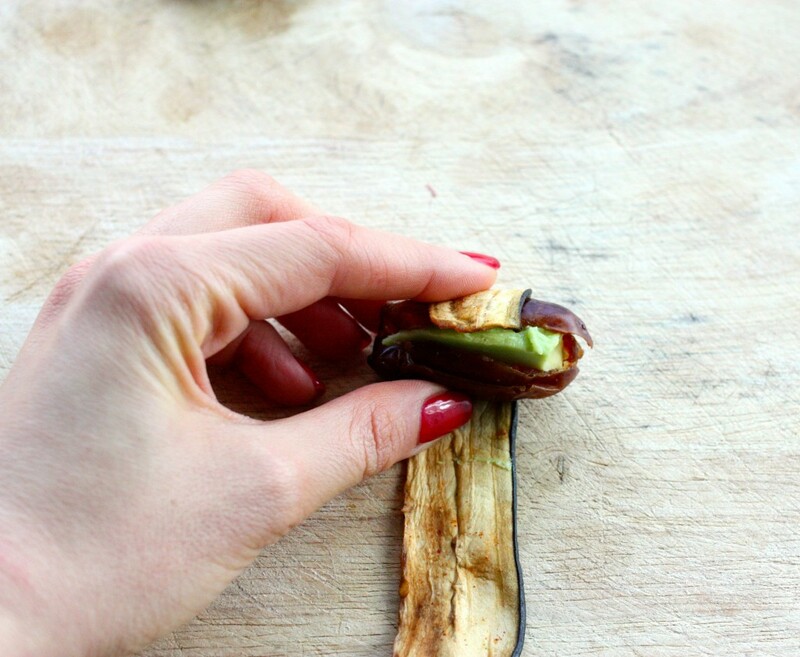 If you don't have a dehydrator, there's a baking option for the eggplant in the original recipe. Watch it closely; it'll burn quickly! 2. 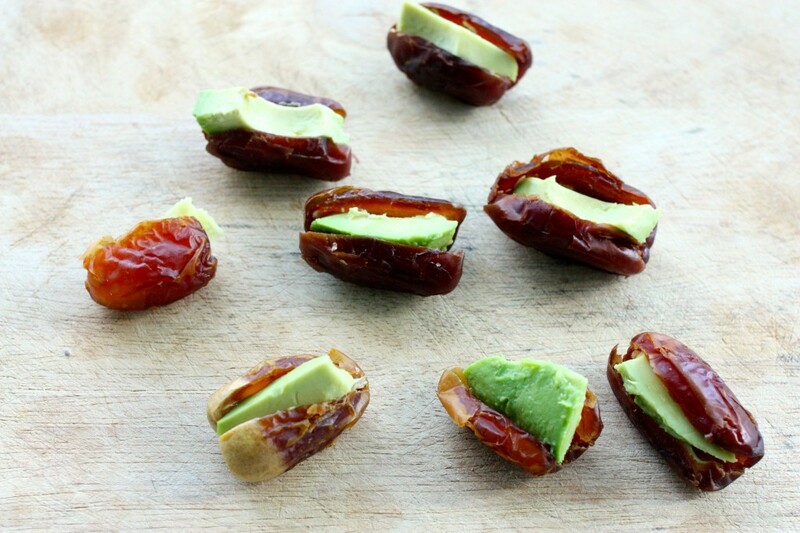 Place a small piece of avocado in the center of each pitted date. 3. 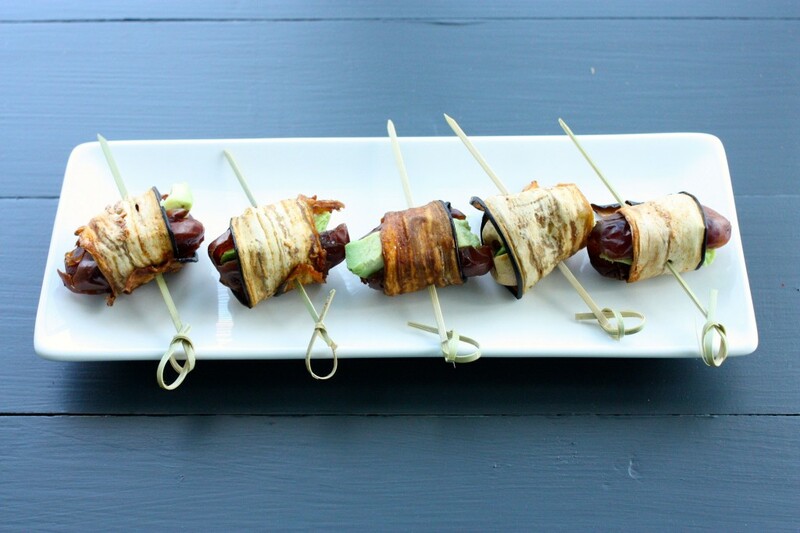 Wrap a strip of eggplant bacon around each date, and roll it up. Secure ends with a toothpick, and serve. Aside from being cute, these appetizers have saltiness, sweetness, and a little bit of fat. All of the essentials. And they’re awfully cute. While I can’t claim that this dish can really approximate the original–bacon, after all, is just one of those foods it’s hard to replicate–I can promise you a lot of flavor. Enjoy the recipe, and sleep tight. 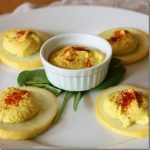 Cashew and Squash Canapés: A Raw, Vegan Spin On Deviled Eggs! Ah, what a fun, unconventional mix of foods. 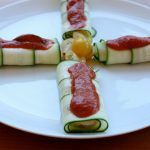 I love how a few simple foods, when put together can create a totally new experience & taste. Yum, yum! 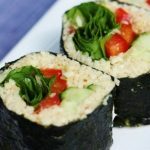 It’s recipes like these that assure me I’m a true vegan at heart :). I totally agree. So simple, yet so delightful. Glad you like the recipe, friend. I think so, Jenni. Also, if you keep them in an airtight container after baking, they’ll soften up. Enjoy! Gena. These look superb. Like, genius. Kuuudos.
! Is there nothing avocado can’t do? 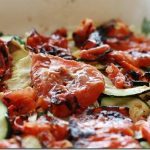 I tend to stay in a (delicious) dehydrator rut, churning out simple vegetable chips for snackage, but I can’t believe I still haven’t made eggplant bacon with it. Weekend plans have been updated. Thanks, lady. Hope you like the recipe, friend! this is pretty much an ideal app for me! sweet, savory and salty all in 1 bite 🙂 medjool dates are becoming a fast favorite for me. i don’t really eat a ton of fruit but when i want some candy and don’t have chocolate around, i go for those dates. soooooooo rich! SO rich, so sweet. So perfect. Nature’s candy. Wow, they look amazing and delicious! Will make them for dinner guests this Saturday. Thx. Hope they went well, Sonia! They sound so tasty too. Hahaha. My mom isn’t quite on the vegan bacon bandwagon yet. I’ll keep trying. They look great, I have always wanted something inspiring to do with dates. I have to give this a try. Oh this is too cute/fun/delicious/all the good things! I can’t wait to try this!! ALL the things, Gabby! Hope you like ’em! After I get back to the Show Me state, I am making these. How inventive and fabulous!! Thanks, Star! I hope you like them. Raw and vegan?! That looks like a yummy and cute appetizer/hors d’oeuvre! Brilliant use of these dates! 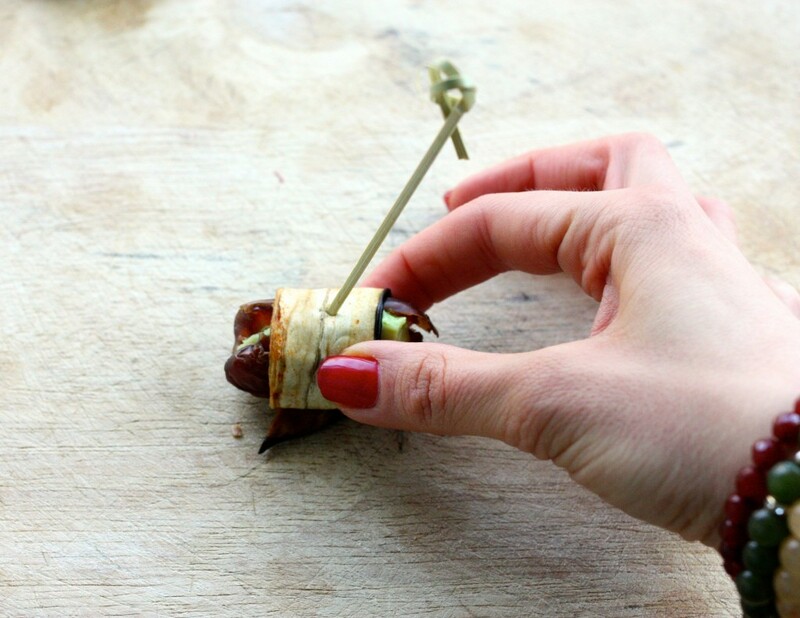 What a super cute & fun snack/appetizer! 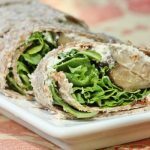 Great snack for tea time and it’s easy to do.. Dates and Ava coda contains lot of health benefits.It’s a fun snack and it mostly be liked by kids. I am not a vegan, not even a vegetarian, but this sounds so delicious. I am definitely going to try it.